We offer you inspiring rooms and unique spaces in the city centre of Valencia. Meetings, training, presentations, conferences, conventions, cultural events, seminars, personal interviews and just about any other activity you can think of. We’re flexible! Our rooms for hiring are located in two key areas of the city. A four floor building in the city centre, very close to the Turia gardens. 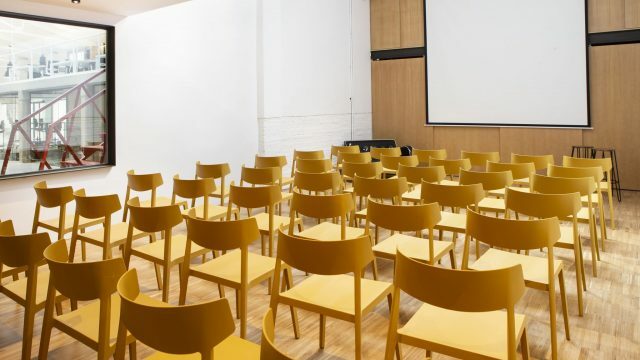 It provides several rooms for meetings and trainings and spaces for events up to 60 people. The building is the perfect place for your meetings due to its great location, coffee-shop and wonderful inner terrace. Catering services under request. This inspiring old factory flooded with natural light is ideal for corporate activities. Find out creative rooms and spaces for meetings, trainings or any other activity you can think of. Host your event up to 190 people. Catering services under request.